56 cm size is currently out of stock. 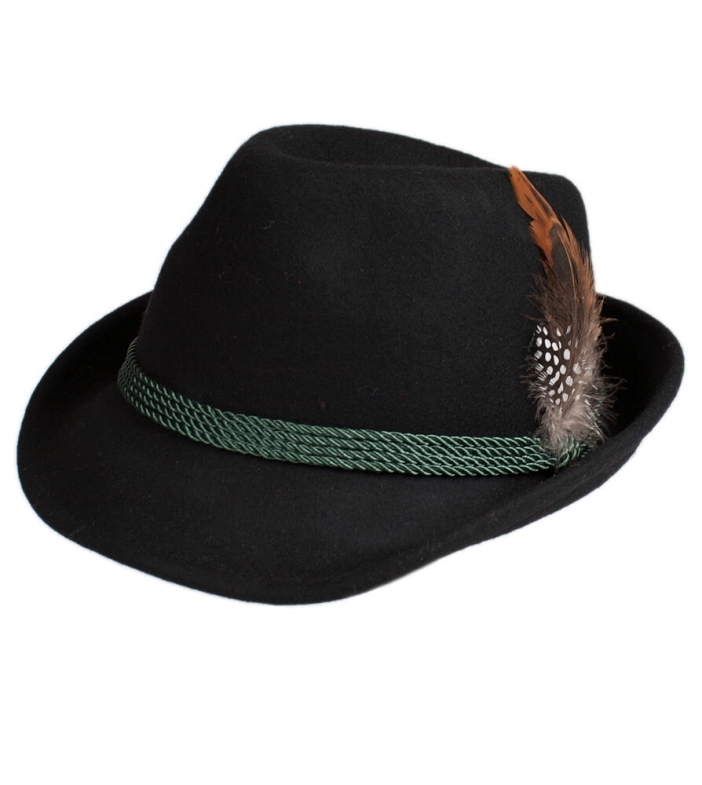 Classic costume hat with feather in black. Made from 100% wool for a comfortable fit that feels and looks fabulous, this classic black costume hat is perfect as part of a Dirndl dress or Lederhosen combination. The brim encapsulates Bavarian style and the dark green cords that run around the pinched crown hold a delicate feather in place.